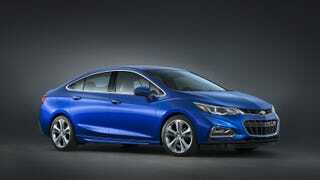 The New Cruze looks pretty good. Curb weight is slashed by 200lbs, and power is up to 153 HP and 177 lb-ft. The interior is also vastly improved. I’d buy one over a Jetta, and, if the price is right, over a Mazda 3.